House Speaker Nancy Pelosi said Thursday she will “of course” allow a floor vote on any bipartisan border security proposal crafted by congressional negotiators, but she drew a red line, insisting "there's not going to be any wall money in the legislation." Pelosi's declaration from Capitol Hill reverberated down Pennsylvania Avenue to the White House, prompting President Donald Trump to shoot back at Pelosi's insistence that Congress will not fund the border wall. “If there's no wall, it doesn't work," Trump told reporters at an Oval Office photo-op. "She's just playing games." Trump openly contemplated removing the border wall near Tijuana to show Californians like Pelosi how integral a barrier is to controlling the flow of immigrants into the United States. "If you take down that wall you’ll have so many people coming into our country that Nancy Pelosi will be begging for a wall," Trump predicted. "She’ll be begging for a wall. She will say 'Please, please, Mr. President, give us a wall.'" Pelosi said that congressional negotiators should be free to reach a "consensus of their own devices" -- but expressed confidence that Democrats won't allow the talks to produce an agreement that provides any funding to construct physical barriers along the border. "Let them work their will," Pelosi, D-Calif., said. "They know their brief, they know their limitations in terms of financial resources and they have to choose the best way to use the money for the American people so that’s why I have confidence in what they can do." Throughout the day, Trump has downplayed expectations that the bipartisan border security conference committee will negotiate an agreement that he supports. "I don't think they're going to make a deal," Trump predicted. "I see what's happening. They're all saying, let's do this, but we're not giving one dime for the wall. That's okay. But if they're not going to give money for the wall, it's not going to work. And if it's not going to work, the politicians are really wasting their time." Earlier Thursday morning, Trump appeared to undercut the bipartisan, bicameral negotiations on border security that just kicked off on Capitol Hill by tweeting he already has a plan to fund the border wall. In an early morning tweetstorm, the president told Republican negotiators they are “wasting their time” because Democrats do not plan on providing money for a wall. He also falsely declared that the border wall is already being built and made the case that the high murder rate in Mexico has spurred migration to the United States. "It doesn’t matter what Congress does?" Pelosi reacted incredulously. "I knew that he wanted it all to himself! I mean, really? A president who wants to have Congress be completely irrelevant in how we meet the needs of the American people. Nah, come on." Republican and Democratic lawmakers began negotiations Wednesday and face a Feb. 15 deadline to strike a deal or risk the government shutting down again. 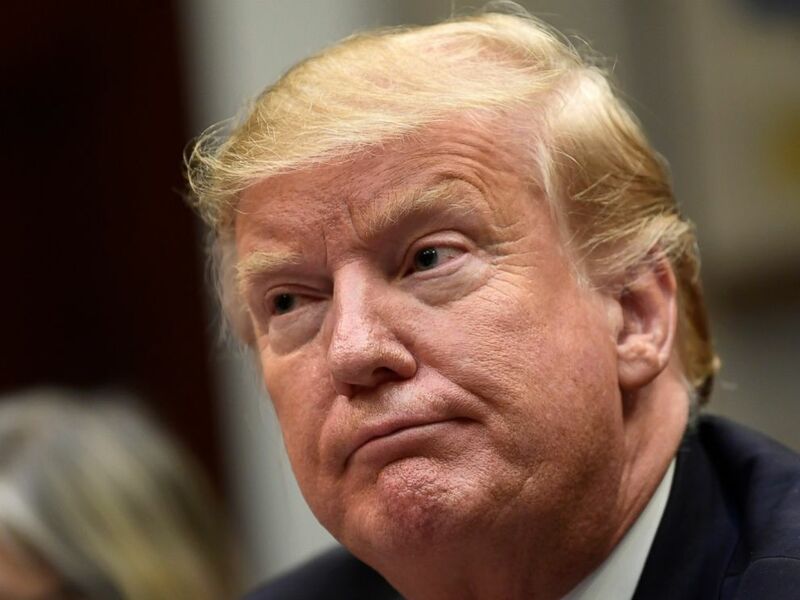 Trump said he will wait until the deadline to gauge the outcome of the talks before deciding whether he will declare a national emergency, though he signaled he will take care of the wall funding no matter what. Pelosi did not rule out adding some physical structures along the border - such as to construct new ports of entry -- to address the flow of immigrants crossing the border. “If they have some suggestions about certain localities where technology, some infrastructure – as I said about the ports of entry – we might need more ports of entry, we might need some roads. That’s part of the negotiation." The president also tweeted that Mexico’s murder rates are a reason to build a wall across the southern border. “Very sadly, Murder cases in Mexico in 2018 rose 33% from 2017, to 33,341. This is a big contributor to the Humanitarian Crises taking place on our Southern Border and then spreading throughout our Country. Worse even than Afghanistan. Much caused by DRUGS. Wall is being built!” Trump tweeted. The president is correct that murder rates in Mexico have been on the rise in the past year, and have hit the highest levels in decades. A report by Mexico's Secretariat of Security and Citizen Protection recorded 33,341 homicides in 2018, a 15% increase over 2017's recorded 29,168 murders. The president’s "remain in Mexico" policy requires migrants seeking asylum to return to Mexico while their request is being processed. By claiming that Mexico is dangerous, it appears to undermine the administration’s reasoning for the new policy – that asylum seekers will be safe in Mexico during the adjudication process. Trump's blitz of tweets also renewed his calls for the southern border wall to be called a wall, rather than a barrier, or fence.